There's plenty of good reasons to become an annual subscriber to the best sci-fi, fantasy, and horror magazine out there, but with the latest bargain of deal for SFX magazine, you really have no excuse to miss out any longer. For as little as £10.55, you can save up to 55% on a spanking new subscription to SFX magazine, either as a treat for yourself or a gift for that special someone. That’s 13 copies of the leading pop culture publication per year, each one delivered straight to your door at a discounted rate from the full RRP. 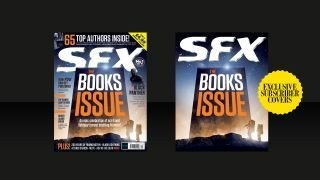 Save up to 55% on SFX magazine: Subscribe from £10.55, and save up to 55% on a subscription to SFX magazine now. Each and every issue of SFX is brimming with exclusive coverage on the genre entertainment you’re dying to hear about; from the latest in blockbuster cinema to the next binge-worthy Netflix show on the horizon. With its authoritative opinion, behind-the-scenes access, and year-round coverage, SFX makes sure you won’t be missing out on a single thing in the world of the geek community. The upcoming issue, for example - out January 31 - is a sci-fi and fantasy book extravaganza, loaded with all the best and biggest 2018 releases. SFX subscribers also receive their own exclusive collector’s cover for every issue, which won't be found on any store shelves, but are instead delivered direct to your home each month without fail. Need I say any more? Turn 2018 into a belter, and get in on this amazing SFX subscription offer while it still lasts.